Goji berries are said to be one of the healthiest berries on the planet – rich in antioxidants which can help to protect the eyes, improve circulation, protect the liver and promote weight loss. This recipe combines these small gems along with a number of other beneficial ingredients including oats, flaxseeds and coconut oil. Served warm or cold, this bread won’t last long! Preheat the oven to 180 degrees Celsius then grease and line the base of a loaf pan with baking paper. Combine three teaspoons of oats, two teaspoons of flaxseeds and one teaspoon of coconut sugar in a small bowl then set aside. Beat coconut oil and remaining sugar with an electric beater until pale and creamy. Beat in one egg and one tablespoon of the coconut flour then repeat with remaining eggs and coconut flour until combined. 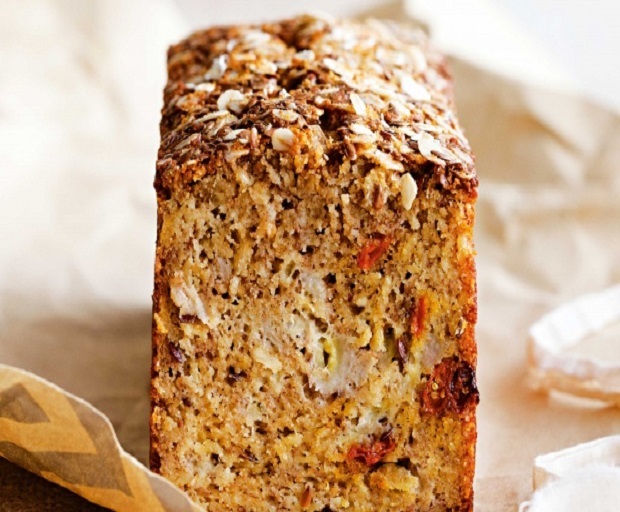 Add almond meal, goji berries, baking powder, cinnamon, banana, remaining oats and flaxseeds then stir to combine. Spoon mixture into the prepared loaf tin, smooth the surface, then sprinkle with the oat mixture that was set aside at the beginning. Bake for one hour or until firm then cool on a wire rack. Most of the world’s quinoa comes from the mountain regions of Peru and Bolivia where it originated from thousands of years ago and it is a nutritious seed which contains more protein than any other grain it is often compared to. This is one of the reasons why it has been labelled as a superfood. Quinoa is high in fibre to keep your digestive system regular and is great for keeping your blood sugar levels in check. It contains nine essential amino acids, iron, B vitamins, calcium, magnesium and much more so consider adding some quinoa to your diet today to reap the benefits of this superfood. This Indian spiced quinoa recipe is healthy, easy to prepare, full of flavour and you can have it on your dinner table in less than 35 minutes. Heat 2 tablespoons of peanut oil over a medium heat and cook mustard seeds until they begin to pop. Add curry leaves, garam masala, chilli and onion and cook until onion is tender. Add quinoa and split peas then stir to coat in spice mixture. Add stock and 1 cup of boiling water then simmer over a low heat for 25 minutes. Add chicken and spinach and heat until chicken is heated through. We all know that healthy eating should be part of our lifestyle, but what happens when our habits becoming obsessively unhealthy? That’s where the term orthorexia nervosa comes in, a term that literally means “fixation on righteous eating”. People who suffer from orthorexia become fixated on food quality and purity as well as how much they eat. Eventually their diet becomes so restrictive that their obsession becomes detrimental to their health as well the relationships with those close to them. People who have orthorexia normally start out simply wanting to eat healthier but it then turns into an extreme diet where they’ll avoid any food that has been processed and eat only untouched, whole or organic food. Sometimes this can lead to malnourishment because vital nutrients are being eliminated from the diet. There is absolutely nothing wrong with following a healthy diet but when you feel guilt or self-loathing if you haven’t stuck to your diet, if thinking about food is taking up far too much of your time or if your diet has left you isolated and alone then there are serious concerns. Orthorexia symptoms are serious and can have long-term effects on your health and physical body, so should not be swept under the rug. As with any other eating disorder, orthorexia needs treatment so if you think you or someone you know may be suffering from this condition talk to someone about it, preferably a professional such as a GP or psychiatrist. Are Black Beans The Healthiest Foods On The Planet? Black beans, also known as turtle beans, are extremely healthy and jam packed full of vitamins and nutrients that can benefit your health. Whether you eat them fresh or from a can, the health benefits are the same. They have a rich flavour sometimes compared to mushrooms. One cup of black beans provides 15 grams of protein and none of the saturated fat found in red meat which means that they are an excellent choice for vegetarians or for those needing more protein in their diet. Black beans contain no cholesterol. 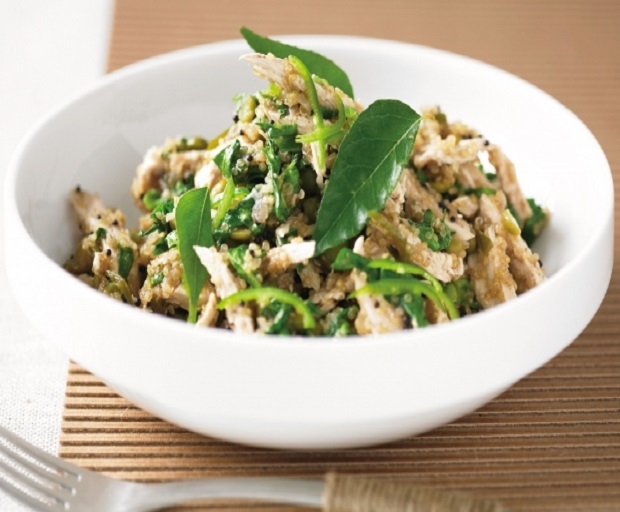 When teamed with rice they provide all of the essential amino acids that your body needs. Black beans have the highest level of antioxidant activity compared to all other types of beans. Antioxidants can help lower the risk of heart disease and cancer. They are high in fibre – a cup of cooked beans contains 15 grams. 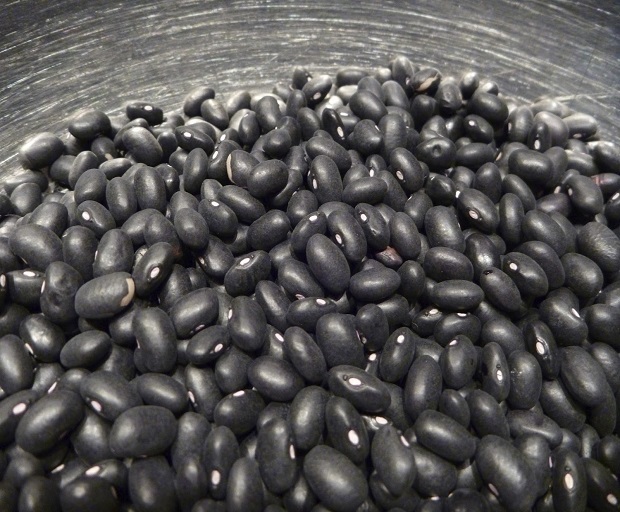 Black beans contain soluble and insoluble fibre. The insoluble fibre aids digestion and prevents constipation while the soluble fibre helps lower cholesterol and blood-sugar levels. One cup of black beans contains approximately 120 milligrams of magnesium which is commonly associated with cardiovascular protection. One cup of black beans contains 256 micrograms of folate, making them an excellent food for pregnant women. They are a great source of copper which is essential for healthy heart function and promoting healthy skin, hair and nails. Sound great don’t they? Try this healthy black bean salad to reap some of the benefits. Mix all ingredients together and serve, it’s that simple! What Is Kale And Why Is It Good For Us? Kale, otherwise known as borecole, is a leafy green vegetable which is a descendant of the wild cabbage and is part of the Brassica family that also includes broccoli, cabbage and brussel sprouts. There are several varieties of kale and they all differ in taste and appearance. The most popular type is curly kale which is most commonly found in the supermarkets and ranges in colour from purple to light green. Kale is extremely hardy and fairy easy to grow, even in cold conditions. What nutrients can be found in kale? Kale is jam packed full of beneficial nutrients and vitamins meaning that just a small amount can provide you with a large dose of your daily dietary needs. It is extremely high in antioxidant vitamins K, A and C as well as being a great source of minerals including copper, calcium, potassium, iron, manganese and phosphorus. Best of all kale has zero fat and is extremely low in calories so it’s a great aid for weight loss. What health benefits does kale provide? Because kale is rich in vitamin K it can help to reduce the risk of developing various cancers as well as helping with bodily functions including blood clotting and lowering cholesterol and blood pressure. Kale is high in calcium which helps with healthy bones and it’s also an excellent source of fibre and sulphur which are great for detoxifying your body. 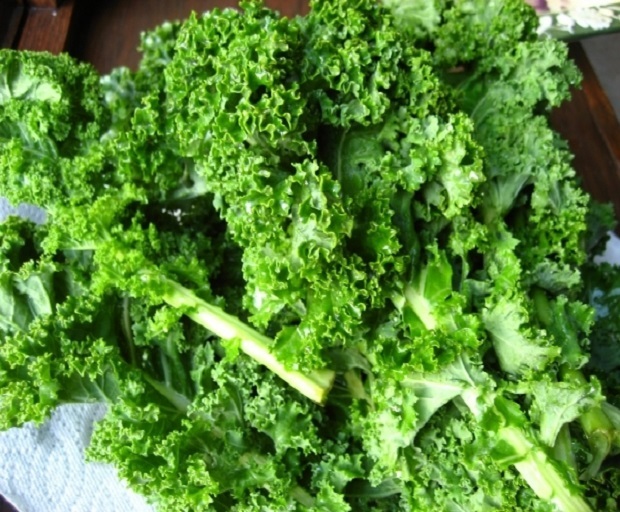 Lutein is also found in kale which is beneficial for healthy eyes. How can I enjoy kale in my everyday diet? Some types of kale are quite bitter so it can be an acquired taste but there are numerous ways that you can enjoy kale in your diet without eating it raw in salads. Kale can be blended into a juice. Just add apples, carrots, kale and a dash of lemon and you have yourself a glass of liquid gold. Kale chips are a great snack and much healthier than potato chips. Bake some leaves in the oven with some olive oil and salt then crunch away. Add kale to soups or pasta dishes. So the next time you’re at the supermarket, look out for kale and consider putting some in your trolley. With the number of health benefits it provides I know I’ll be giving it a go as soon as possible. What are your favourite ways to eat kale? Winter is not a time when most people think about trying to lose weight. If anything, they usually put on a few extra kilos during the winter months. According to Australian nutrition expert and creator of the Snack Attack Weight Loss Program, Robert Jarmyn, the winter months are, however, possibly the best time to try to shed a few excess kilos. Mr Jarmyn explains that “despite misconstrued rationales that our body goes into a fat storage mode during the winter months because of our ancestral hunter gatherer heritage, the real reasons we put on weight during winter are more correlated to increased carbohydrate consumption and lower activity levels”. Studies into the causes of winter weight gain have found that the reason why we eat more carbohydrates during the winter months is closely linked to a psychophysiological factor. As the days become shorter our body produces less serotonin. Serotonin plays an important role in influencing our moods. With less serotonin floating around our body we tend to seek foods containing sugar because sugar has a drug-like effect on the pleasure centre of our brain that makes us feel happy. The problem is that sugar is highly addictive. The more we eat the more dramatic our mood swings. This in turn leads to eating even more to achieve the same emotional high. With all that excess sugar floating around our body combined with the effects of less activity during the cold damp winter months, our body is programed to store away the excess sugar as fat through a process known as glycogenesis. 1. Eat fresh fruit and vegetables in preference to starchy carbohydrates. Whilst both of these still contain some sugar and carbohydrates because they are also excellent sources of fibre and phytonutrients you will feel fuller and more satisfied. Try eating vegetables like carrots, broccoli, pumpkin, sweet potato and cauliflower in the form of soup. The increased water content will help you feel full and assist in the break down of food. 2. Increase your protein intake. Protein takes longer to break down into energy than simple carbohydrates such as pasta or rice and will therefore keep you going for longer and make your metabolism work faster. If you combine meat and vegetables into hearty stews (without potatoes) it will not only help keep you warm during the cold winter months but will also give you the energy to keep you going for hours. 3. Ignore low-fat labels. If you are eating a lot of dairy food don’t be fooled by ‘low fat’ claims. Most low fat foods contain more sugar than the conventional varieties and will usually cost you more. No only that, recent studies conducted in Scandinavia reported that bioactive substances in milk fat may alter our metabolism in a way that helps us utilise the fat and burn it for energy, rather than storing it in our bodies. 4. Walk for 30 minutes per day. The American Council on Exercise found that during low-intensity exercise (such as walking) the body gets roughly 60 percent of its fuel from fat. Compare that to high-intensity workouts where fat only provides around 35 percent of the calories burned and it doesn’t take a genius to work out that slogging it out in the gym is not going to make you lose weight. Another positive about walking is that exercise also produces endorphins. Endorphins are great mood boosters and can help make up for the lack of serotonin being produced from shorter daylight hours. Whilst it is not always desirable to do in the depths of winter, if you really want to lose weight, walking for 30 minutes per day will make a significant difference to your waistline. 5. Stock up on B-group vitamins and amino acids. 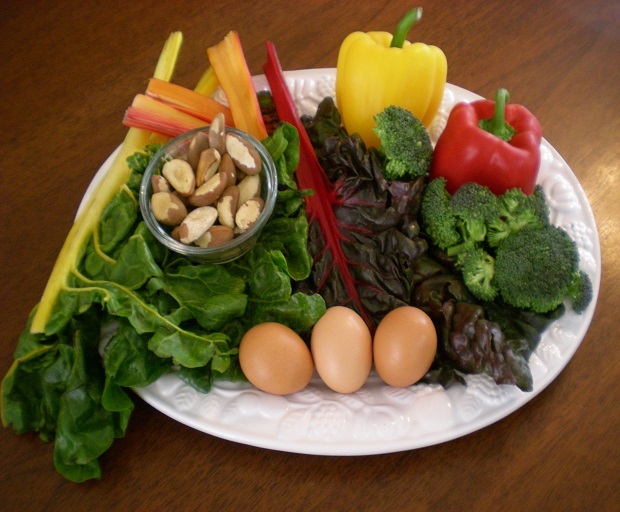 The metabolism of energy from fat requires a ready supply of biotin, thiamin and l-carnitine. Whilst these nutrients can be found in a wide variety of foods they are not stored within your body. In order to release the energy from your natural fat stores and kick start your metabolism, make sure your keep your levels of these nutrients topped up regularly. 6. Drink green tea and green coffee. Antioxidants fight free radicals that wear you down and can also boost your weight loss effort. A recent study conducted by researchers from Pennsylvania State University found that the anti-oxidants found in green tea (known as catchetins), inhibit an enzyme called pancreatic lipase (PL), which is secreted into the intestine to aid the digestion of dietary fat. In addition to reducing fat intake, green tea has also been shown to increase thermogenesis (fat metabolism). Similarly, green coffee bean extract has been shown in several clinical studies to reduce the uptake of carbohydrates and balance blood sugar levels. Celebrities like J-lo, Katy Perry and Demi Moore have been reported as using green coffee to get in shape for red carpet events. 7. Get some sun. Whenever the opportunity presents make sure you get out into the sun. Not only does serotonin act as a mood-boosting brain chemical it is also partly responsible for feelings of fullness. Even a heavy dose of artificial light, especially in the morning, may help suppress food cravings and the urge to overeat. Just been diagnosed with coeliac disease – or simply gluten intolerant? Either way, no matter how hard you try to cut gluten from your life, chances are that it keeps finding a way to creep back in. The result may be abdominal pain, bloating, tiredness, headaches or poor concentration. Even if you’ve got your gluten-free diet worked out at home, it can be challenging maintaining it in situations like parties, travelling and dining out. Michael Carp, owner of yummy gluten-free snacks company Kez’s Kitchen, shares his top tips for avoiding gluten in every situation. Many of us eat on the run. Instead of grabbing a bagel – which you’re sure to regret later – there are now great-tasting alternatives when you’re searching for a snack on the go. For instance, the Kez’s Free range includes cereal snack bars and bites including roasted Florentine Bars and biscuits that are all 100 per cent gluten free, without making any sacrifices on taste or texture. Readily available canapés drifting past every few minutes is enough to make even the strongest-willed crumble to the temptation – especially when hungry. “If you ensure to eat a full meal before attending any event you’ll be much less likely to reach for a few cocktail spring rolls. Additionally, bringing a snack bar in your bag is always a good idea in case you feel peckish, and remember to opt for a cider instead of beer as they’re commonly gluten free,” Michael says. What are your best tips for maintaining a gluten-free diet in different situations? Tell us in the comments! Still feeling bloated from all that festive overindulging? You’re not alone! Whether you need a quick fix for bloating, gas or inflammation, leading gut guru and naturopath, Michèle Wolff, shares 3 easy bloat busters to deflate that tummy and help you squeeze into your jeans! Combine 2 tsp. barley, 2 tsp. coriander seeds, 2 tsp. fennel seeds, 4 raisins. Put all of these ingredients in a thermos of almost boiling water overnight. In the morning strain and squeeze these ingredients and add a few drops of lemon juice, 2 tsp. aloe vera juice, 2 pinches of turmeric and 2 pinches of cinnamon. If you are celiac avoid barley and use slippery elm instead. If you have candida, avoid the raisins. Mint/peppermint has a calming, soothing effect on the gut and is cooling. It helps get rid of gas and bloating. It is also helpful if you have nausea or travel sickness and works well with ginger as a tea. Use caraway and fennel for bloating/wind and liquorice root for digestive inflammation. The leaves are delicious used in salads and yoghurt dips. It tastes good in soups and sauces too. What are your health goals for 2014? Australia was one of the first countries to truly embrace juicing culture, and the craze is only getting stronger. There is now a growing trend towards juicing diets, cleanses and detoxes that offer impressive results; not only in terms of weight loss, but also for their undeniable health and lifestyle benefits. Juicing is a tasty way to provide your body with the natural nutrients that are often lacking from eating over-processed foods and making unhealthy lifestyle choices – and let’s face it, drinking a juice is much easier than eating a huge bowl of salad. 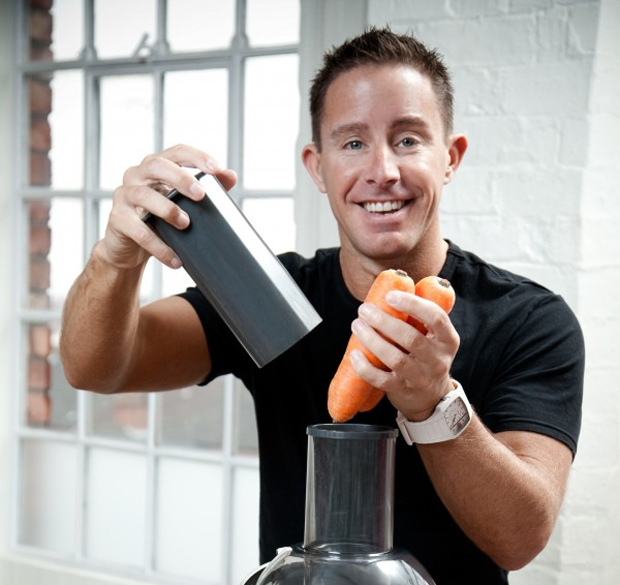 UK author and motivational speaker Jason Vale, better known as the ‘Juice Master’, is an advocate for the juicing lifestyle, and SheSaid caught up with Jason on his recent visit to Australia to get his insight on the benefits of juicing and his advice for maintain a balanced juicing diet. What inspired you to get into juicing? It was my own ill health that led me on this juicy journey. I was covered from head to toe in a skin condition called psoriasis to the point where almost every inch of my body- including my face- was affected. I was badly asthmatic, using an inhaler up to 14 times a day. I was also overweight and suffered terrible hay fever and smoked 40-60 cigarettes a day. When I started to juice I saw my life and health transformed and I have witnessed tens of thousands of others do the same. I transformed myself by drinking fresh fruit and vegetable juices every day, losing 25kg and gaining a new perspective on health. What are the key benefits of a juice diet? Juicing allows the perfect liquid fuel to help you improve your general health. Beauty comes from within and once you start to hydrate your body with vegetable and fruit juices everything shines. When you give up processed foods and replace just one meal a day with a freshly made juice you have changed 1/3 of you diet in one simple step. Your friends will notice the shine in your skin, your hair your nails, your eyes, the whole you. It’s like adding super unleaded instead of diesel to an unleaded car. Juicing is definitely not a fad. By fasting you are giving your body a rest from trying to breakdown the processed foods that seems to have taken over our diets. Once we stop eating these foods and give the body a rest, then the body is able to reboot the liver, kidneys, intestines, blood, every organ in the body gets an overhaul. We are always detoxing, yes the body is designed to detox, but sometimes it is too difficult for the body to do its job properly. I like to compare it to how often do people work hard up until their holiday and then complain for the first week of their holiday they were struck down with the flu. This is the body saying yes, seeing as you have finally slowed down, now I can start doing some cleaning up here. At my health retreats we have seen the transformation in many people once they have been shown how to make nutritious, tasty juices. What are your favourite ingredients to juice together? I always take a couple of apples for juice volume, soluble fibre, and sweetness. I then add celery, spinach, kale, raw beetroot, cucumber, ginger, carrot and lime. This gives a wonderful spectrum of nutrition, plus it tastes stupidly lovely! The first couple of days on a juice diet can often be quite challenging. What advice would you give for someone just starting out with juicing? Anyone who starts a juice diet of any kind needs to understand that for the first 72 hours the body is in ‘withdrawal’ mode. People call this ‘detox’, when it is in fact withdrawal like the withdrawal from nicotine. The maximum it lasts is 72 hours, but the vast majority of people only feel it every now and then. The feeling of withdrawal from refined sugar and caffeine is one of ‘hunger’. This ‘false hunger’ will go and by day four you are left flying on a juice high! What would be your advice for maintaining a balanced and healthy lifestyle? Use juicing as a tool, but don’t become too obsessed with food and nutrition. We are all human and a balance is not a bad thing. I would always advise at least one good veggie juice a day and a five or seven day pure juice diet once every three months. When it comes to food I would keep what I eat as unprocessed as possible whilst having the odd blow out remembering that we are human and food is there to be enjoyed. Coming into summer, what would be your favourite summer juice? Sandwich the lemon (with skin on) between the two apples in the chute of the juicer, and juice the lot. Pour over ice and enjoy. This is best served with friends. Why not make a pitcher and of this delicious refreshing juice? Using the ratio of two apples and a third of a lemon per person, make a large batch and pour into a jug of crushed ice – perfect for a sizzling summer day. Together with Juice Master Jason Vale, Philips aims to encourage a healthier lifestyle this summer by making juicing at home even more convenient. With their clever QuickClean design, the easy-to-use Philips QuickClean Juicers can be cleaned and ready to re-use in less than a minute. Maximum juice with minimum fuss. Happy juicing!